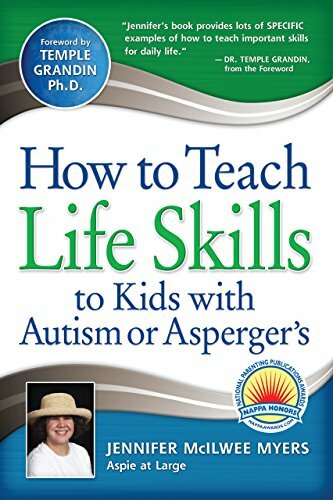 This is a guide offering unique and innovative ways to teach your children with Autism or Asperger’s the life skills they need. It’s true. No matter how high-functioning children with autism or Asperger’s may be or may become, they function better as adults if they’ve had the chance to learn basic skills, from being on time to good personal hygiene. Many reach adulthood without those skills; enter Jennifer McIlwee Myers, Aspie at Large! Co-author of the groundbreaking book Asperger’s and Girls, Jennifer’s personal experience with Asperger’s Syndrome and having a brother with autism makes her perspective doubly insightful. Product Features: ISBN13: 9781935274131, Condition: New, Notes: BRAND NEW FROM PUBLISHER! 100% Satisfaction Guarantee. Tracking provided on most orders. Buy with Confidence! Millions of books sold!